Clint Barton may be a hero, but future Old Man Hawkeye is killing all his former teammates. 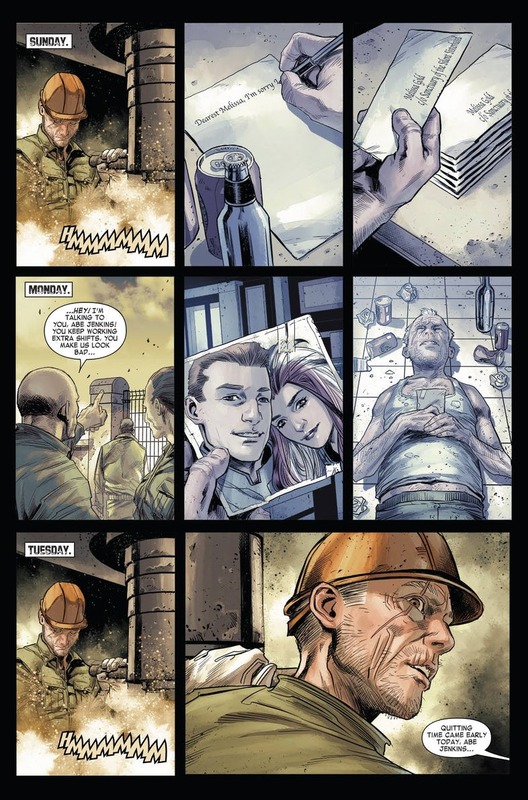 In the comic series, Marvel is carving out a post-apocalyptic future; set five years before the Old Man Logan series. 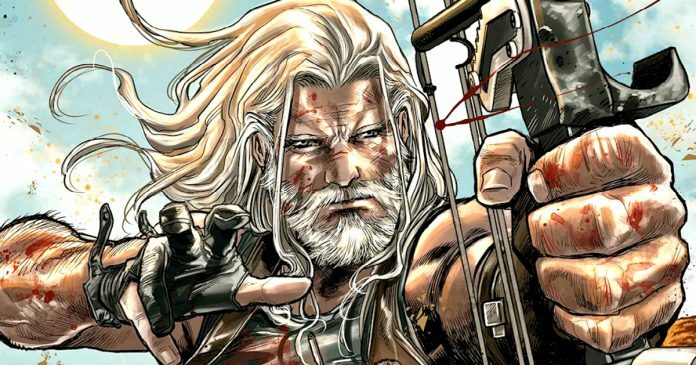 Here we take a look at our exclusive preview of Old Man Hawkeye #4, as we travel with him on his mission to eliminate the friends who betrayed him. He goes after a group of former villains-turned-heroes known as the Thunderbolts who have betrayed him. 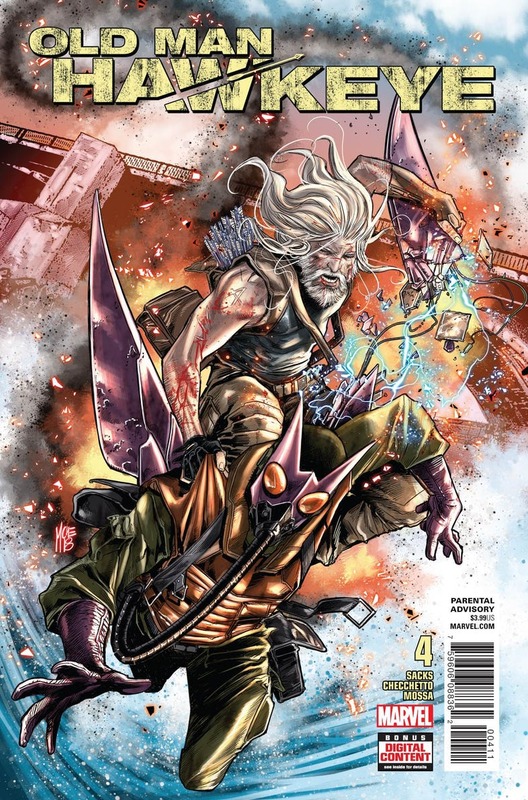 The fourth issue of the comic takes place after Hawkeye kills Atlas, a former friend and Thunderbolt. Clint Barton is going blind and if he’s about to go on a mission to seek revenge, this is the only chance he has at doing it. From the looks of it, we can look forward to a glorious bloody crusade. 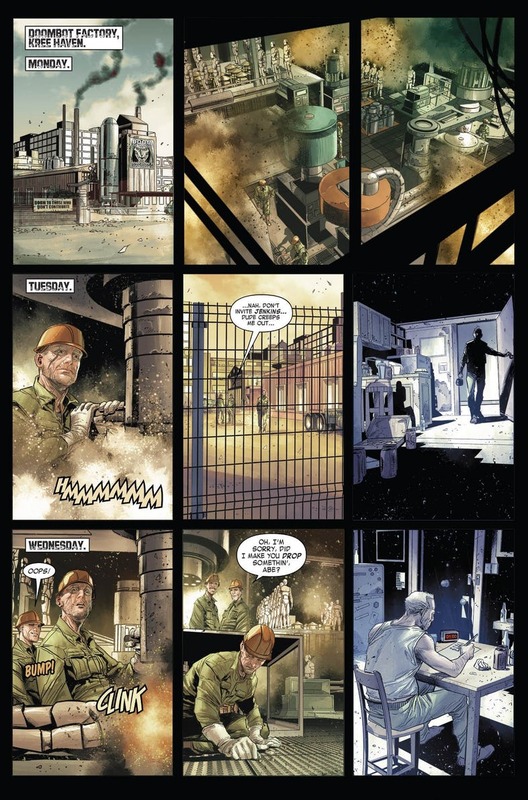 Before killing Atlas, the former Thunderbolt tells Clint that Abe Jenkins felt bad about betraying Clint and wound up working on a Doombot assembly line and drinking to ease the guilt. The previews above show what Atlas was saying was true. There are also countless letters Abe had written but did not send, for Melissa Gold. 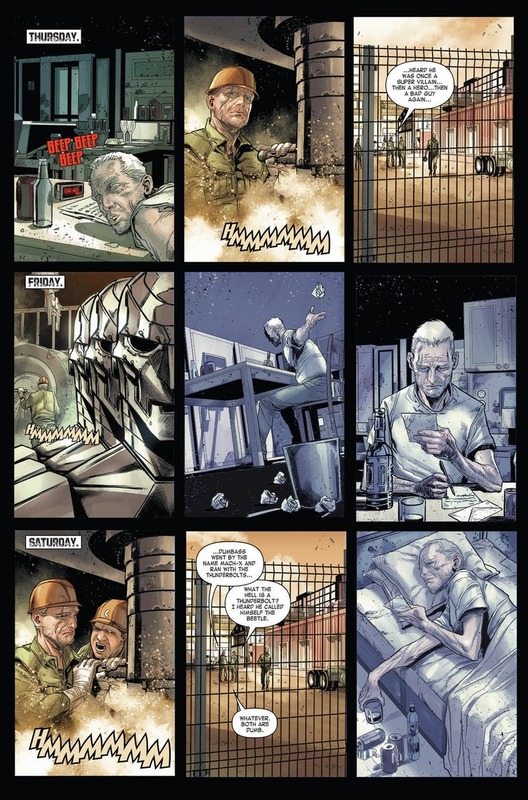 This is a perfect setting for a style that matches the original Old Man Logan storyline, through alcohol, despair and tears. 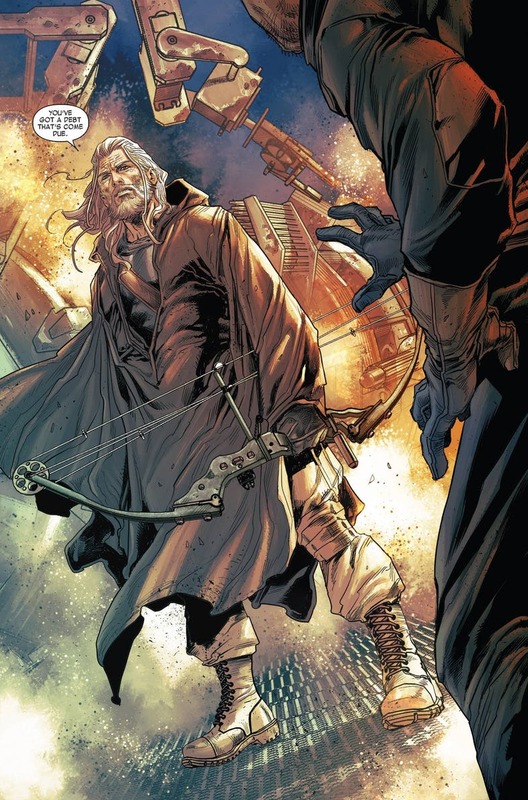 Now all that remains to be asked is whether Clint will be able to fight Abe and kill him and settle his “debt.” It is also uncertain whether Bullseye manages to catch up with him. Whatever way you look at it, the story is rather riveting and we can’t wait for the issue to come out. RELATED: Hawkeye Is Brutally Killing His Team Mates, Here’s What’s Going On. 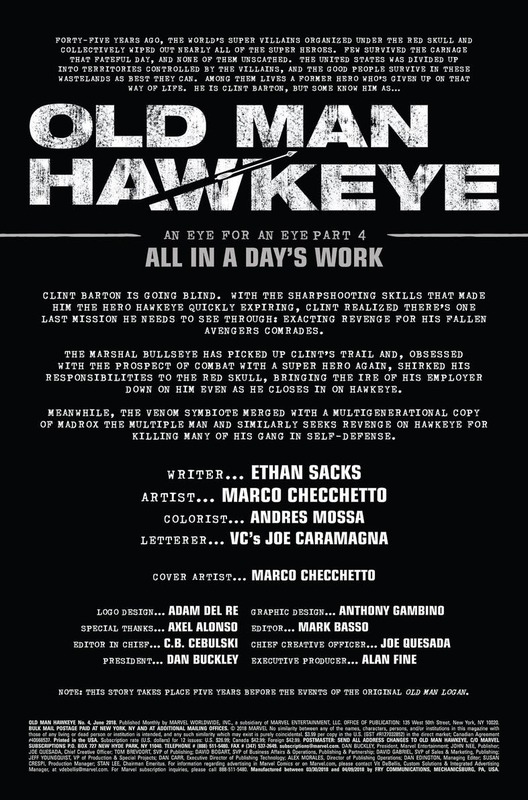 Old Man Hawkeye #4 will be available from Marvel Comics on April 25, 2018.